Contact a Boise DUI Lawyer today if you have been arrested for DUI. Schedule a free consultation with an aggressive and successful Boise Criminal Defense Lawyer. We offer experienced and cost effective Boise DUI and Idaho Criminal Defense in the Treasure Valley. We provide the type of representation and proven track record you need for such serious and potentially life-changing criminal issues. We fight hard to protect your drivers license and driving privileges, and to keep to keep Idaho DMV driving records clean for our clients. At our firm, every criminal case is personally handled by an experienced attorney and our clients receive the personal attention and support they deserve. If you have been accused of a crime in Idaho, you need a boiseduilawyer in front and behind you that knows the system and is aggressive, committed, and tenacious in defense of your rights and your liberty. 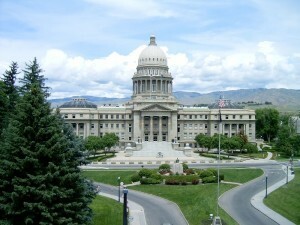 We are a Boise, Idaho DUI and Criminal Defense Law Firm that is fully prepared to fight for your rights on any level. Our firm will ensure that if you are accused of a crime, you can have access to the highest quality attorneys who will defend you to the conclusion of your case. If you or someone you care about has been charged with a crime, don’t wait, contact us today. In theory, the criminal law system is designed to protect your rights as a citizen. But in the real world, law enforcement, and judges all have a job they are assigned to do – which is to convict you as quickly and easily as possible. To do this, the criminal justice system counts on your lack of knowledge and inexperience with the legal system to allow you to help do their job for them. The police will take advantage of your natural instincts to do the right thing and convincingly lie to you, threaten you, and intimidate you in a coordinated effort to have you give them the evidence they need to prosecute you with minimal effort. That’s why you must have a boise dui lawyer who knows the local system and will hold the authorities accountable. A local DWAI attorney who will protect you from legal pitfalls and exploit the mistakes that law enforcement officers frequently make because of there haste in trying to convict you. Find out how an expert Boise DUI Lawyer can help you today! 100% Free Case Review How Can We Help You?